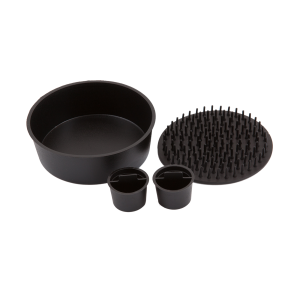 This is the plain Paw Boss, black base with grey lid. Would you ever wash your hands in dirty water? Never. 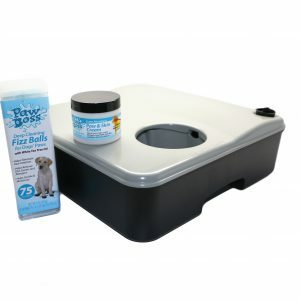 Paw Boss is a brand new patented paw washing device designed to "soap and soak" every paw with fresh clean soapy water WITHOUT going back and forth to the sink. 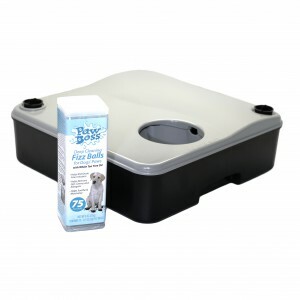 It has built-in clean and dirty water reservoirs which allows you to fill the Paw Boss with clean soapy water then simply tilt the Paw Boss in different directions to fill and & empty the paw washing cup. 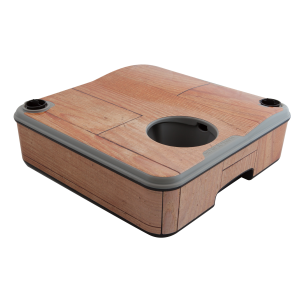 Insert your dog's paws in the paw washing cup and completely submerge that dirty paw back and forth over the soft finger-like cleaning pad to remove the mud, dirt, germs & allergens. 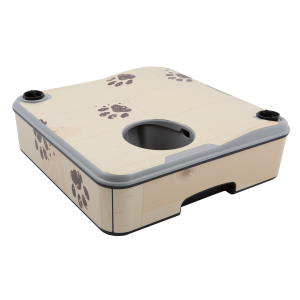 What makes this product work so well is the fact that you can wash multiple paws with fresh clean soapy water without constantly going back and forth to the sink for clean water. 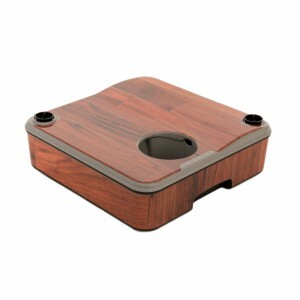 It's simply a mobile, on-demand paw washing sink with all the plumbing designed into it. 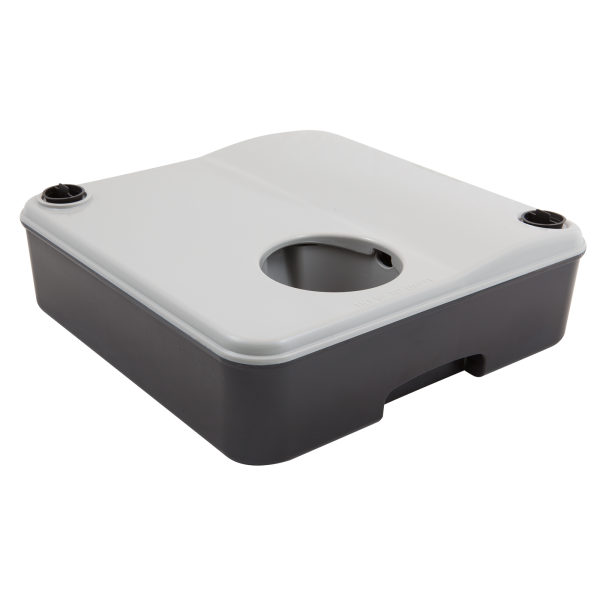 Fill it once and set by your front or back door for on-demand use. The MUCK stops here. Made in the USA. Finally a product that can wash every paw with clean water. Absolutely amazing!